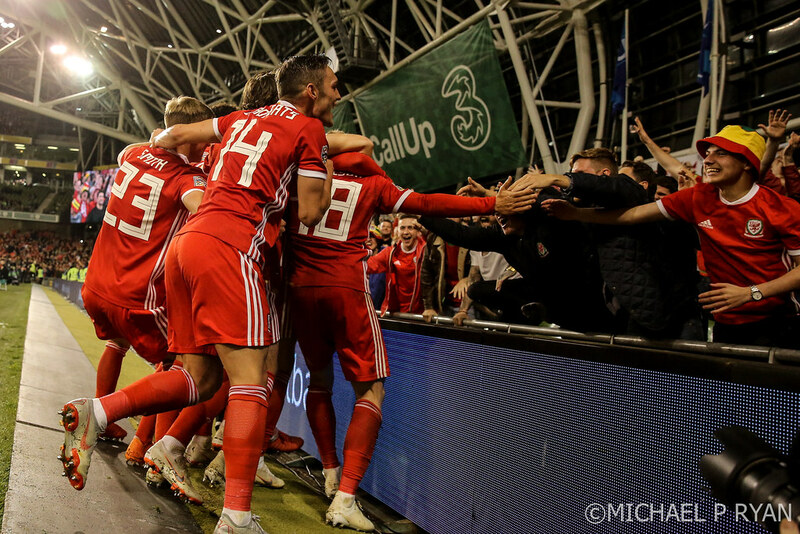 Martin O’Neill had mentioned in the build up to the game that he would make sure his players were up for it from the very first whistle. 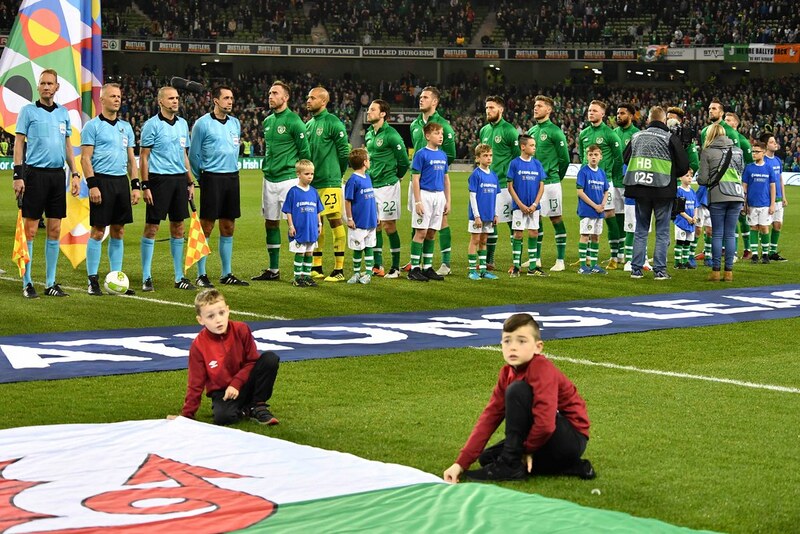 Being the home side meant that they had to take the game to Wales right from the off and ask more questions offensively throughout the game. 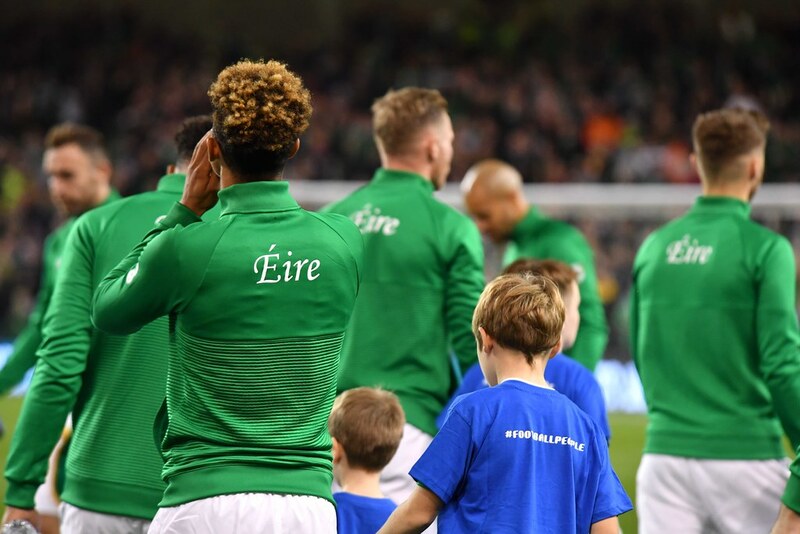 O’Neill got exactly that from his players with Callum Robinson looking lively in the opening five minutes. 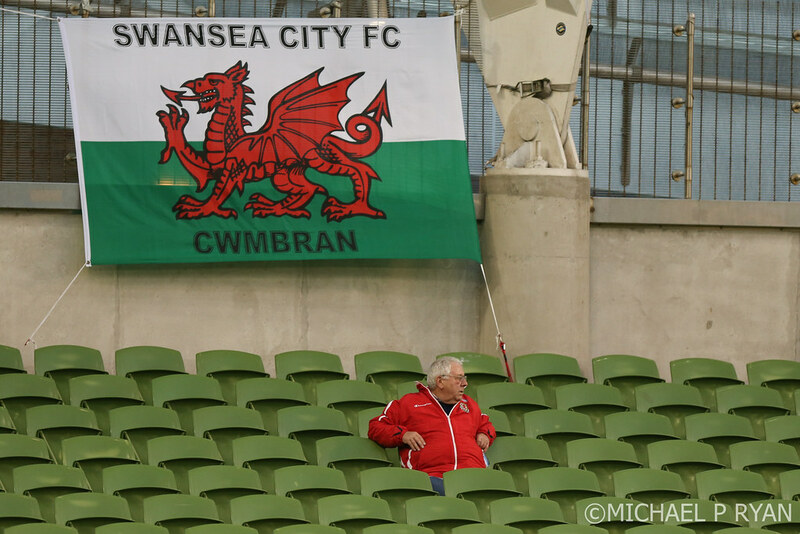 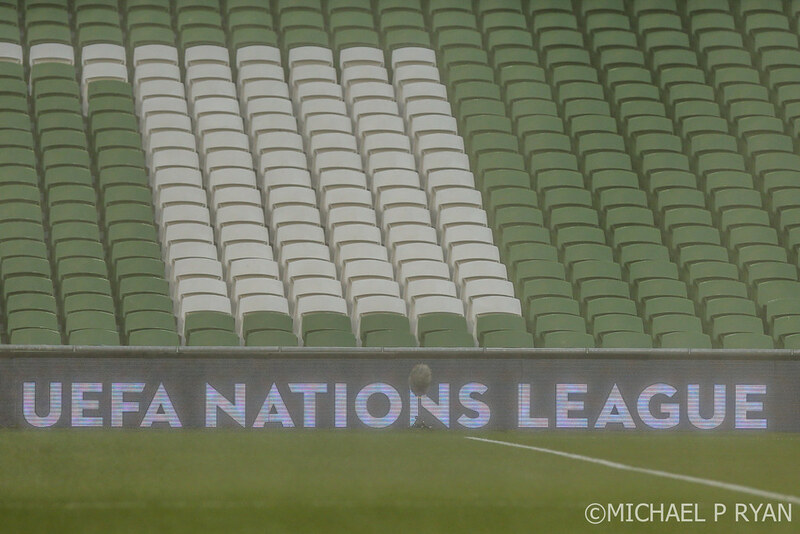 He did well to find James McClean unmarked on the left with a long ball across the pitch. 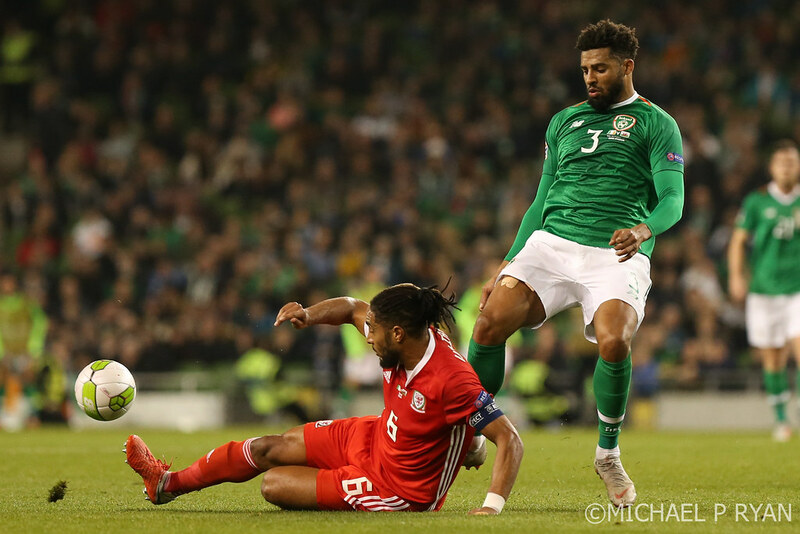 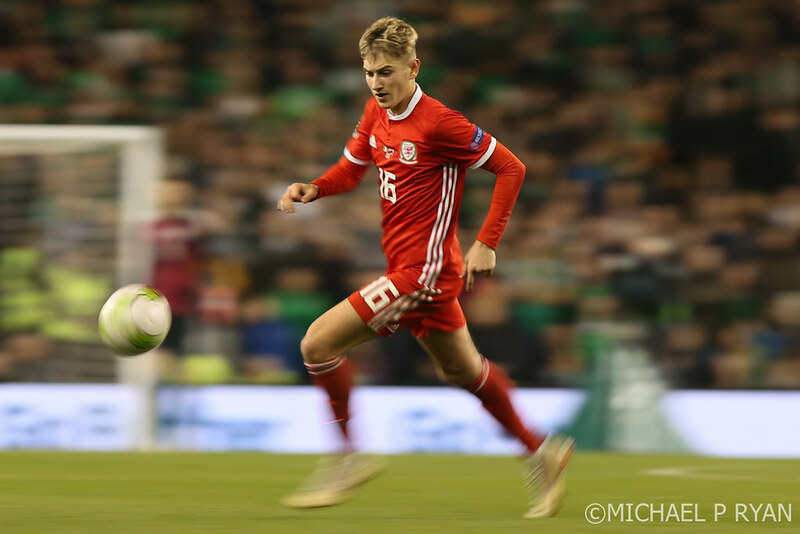 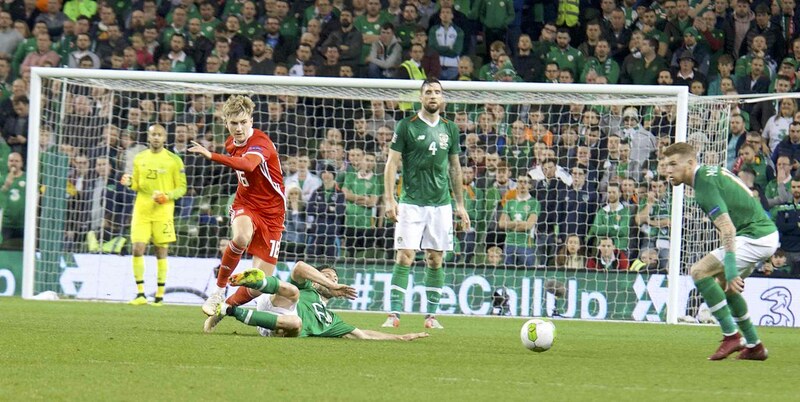 McClean ran at David Brooks intent on beating his man but, having failed to do so, set the tone of the evening with a tackle like only McClean can make, full of passion and commitment to the cause letting Wales know Ireland were going to get stuck in right from the off and give away nothing easily. 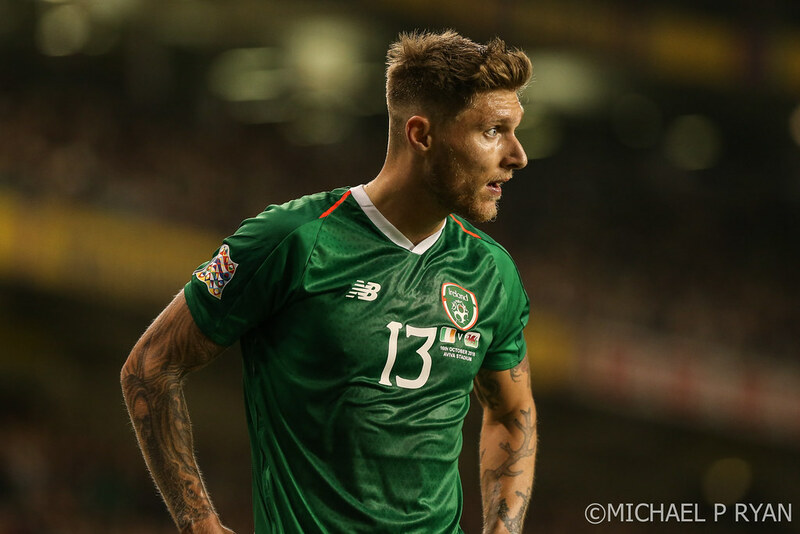 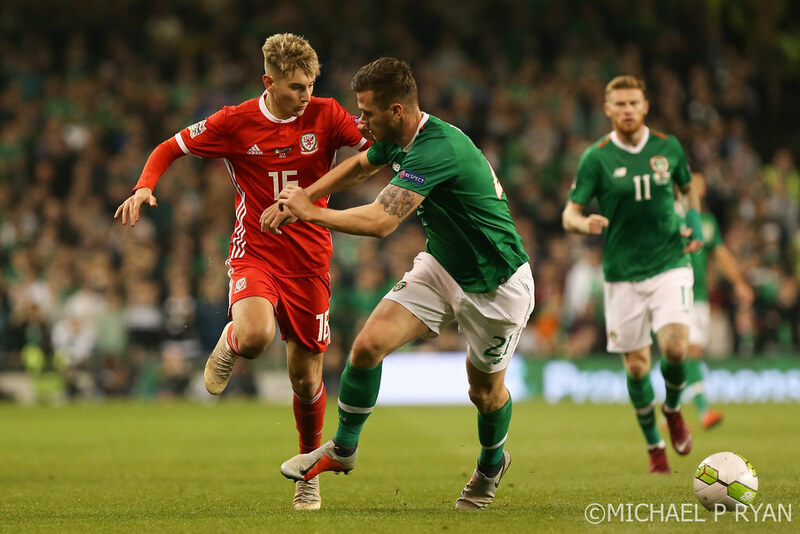 McClean’s tackle was warmly appreciated by the fans around the stadium and it seemed to send a message to the players around him as well of the game they wanted to try and play. 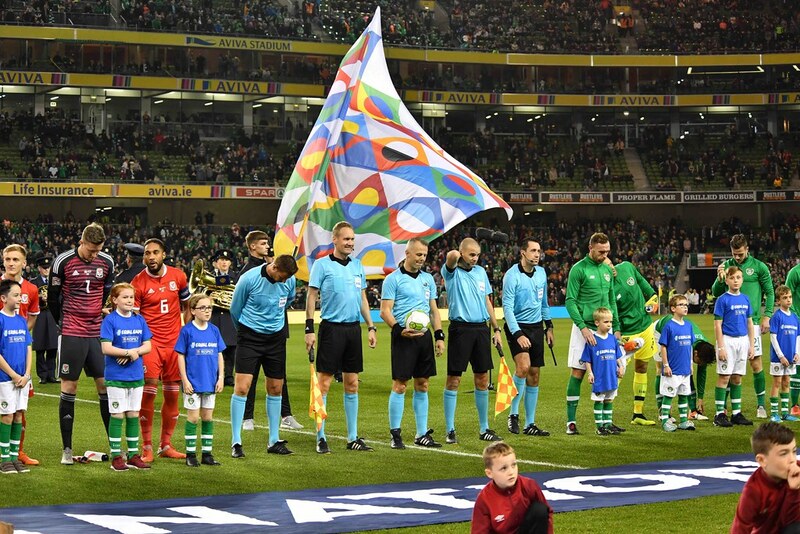 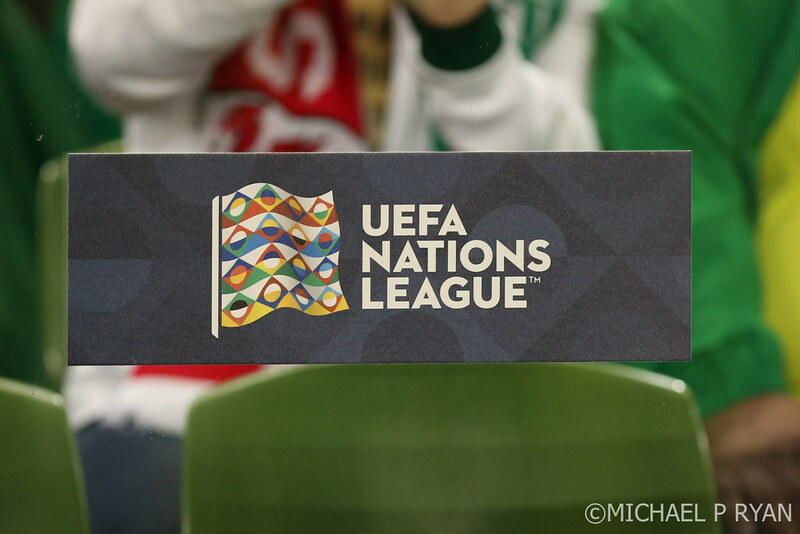 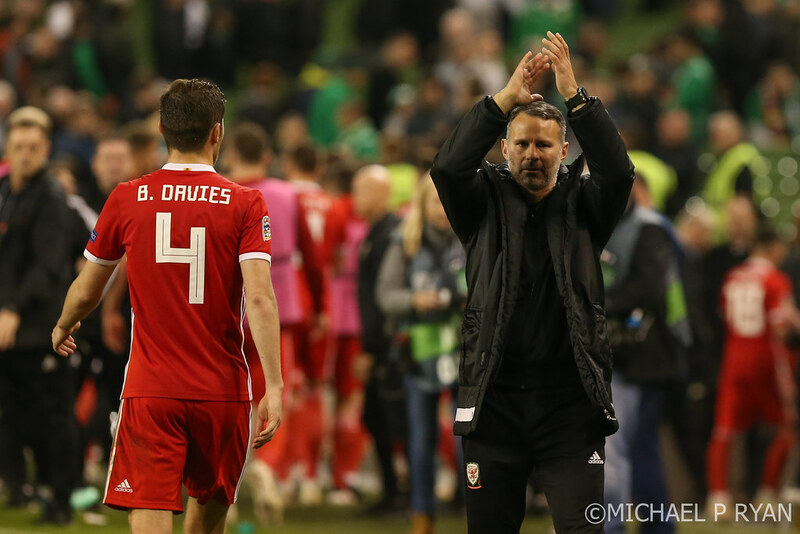 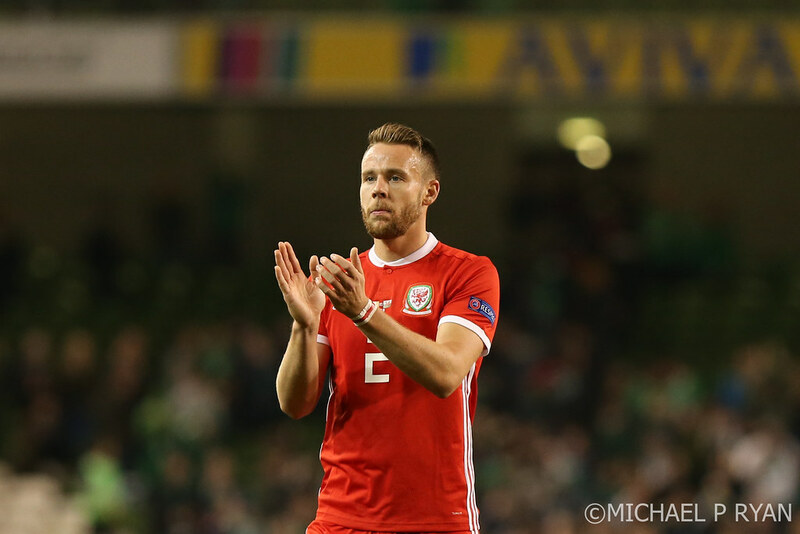 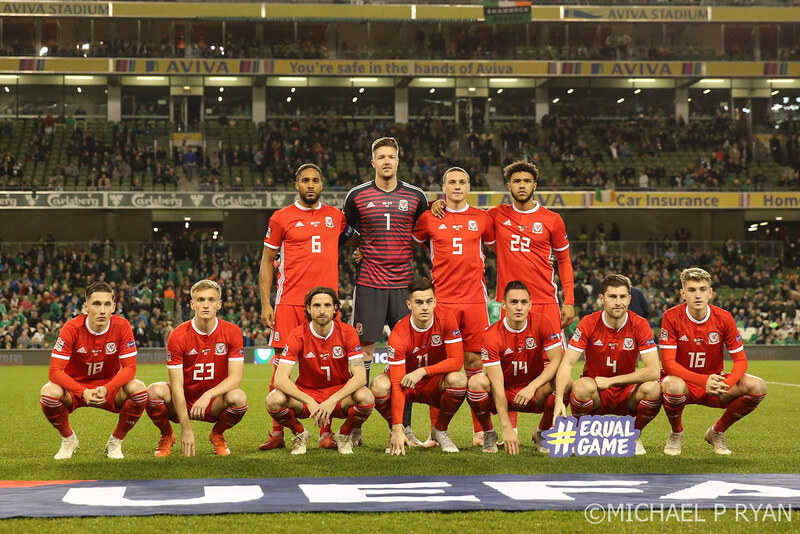 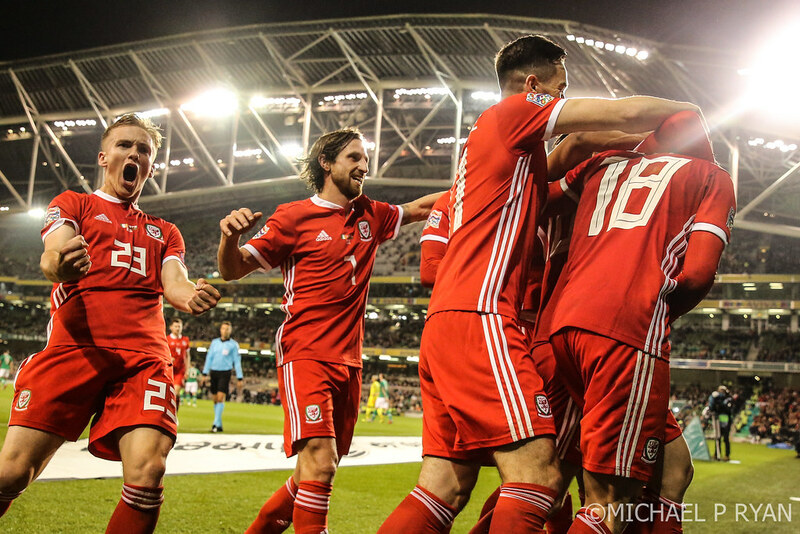 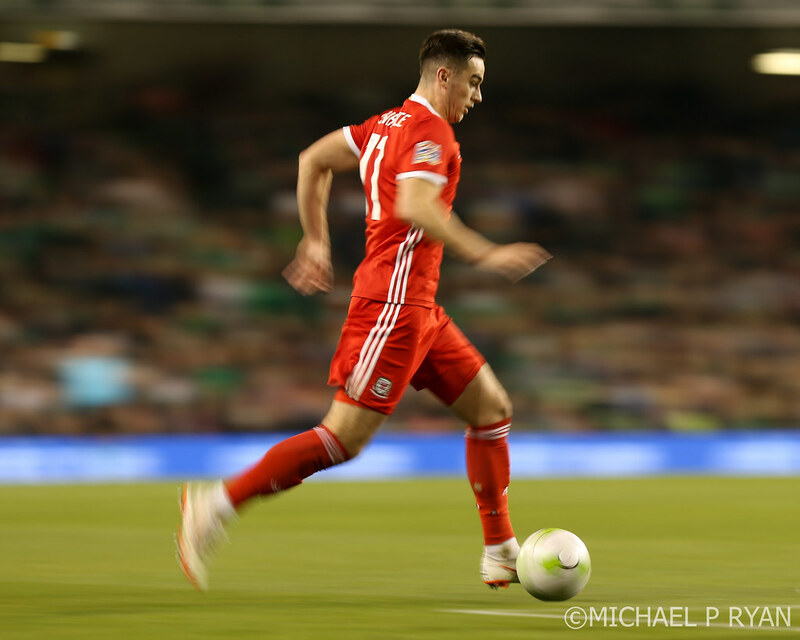 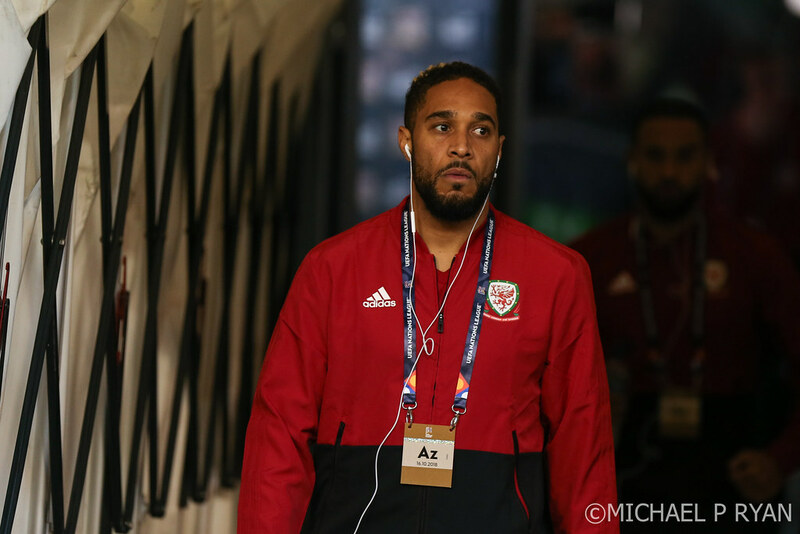 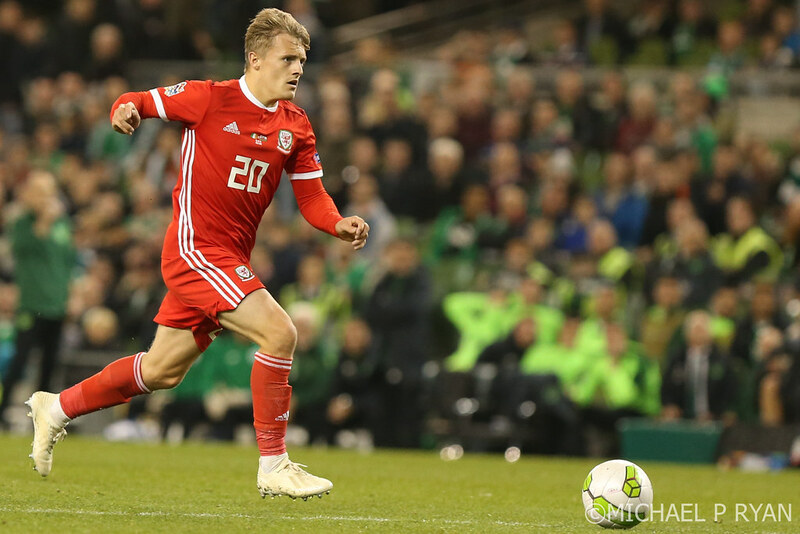 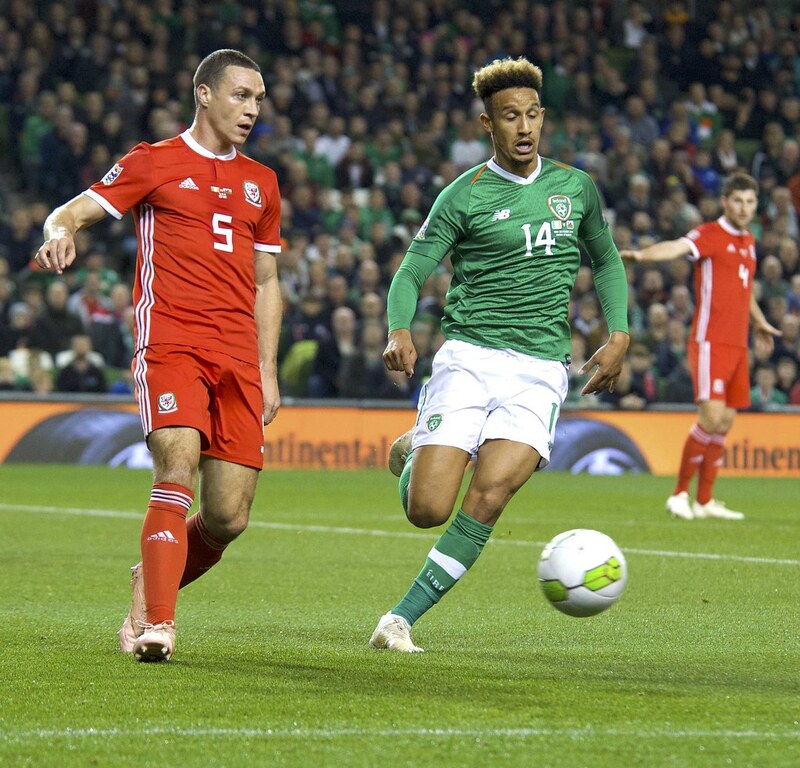 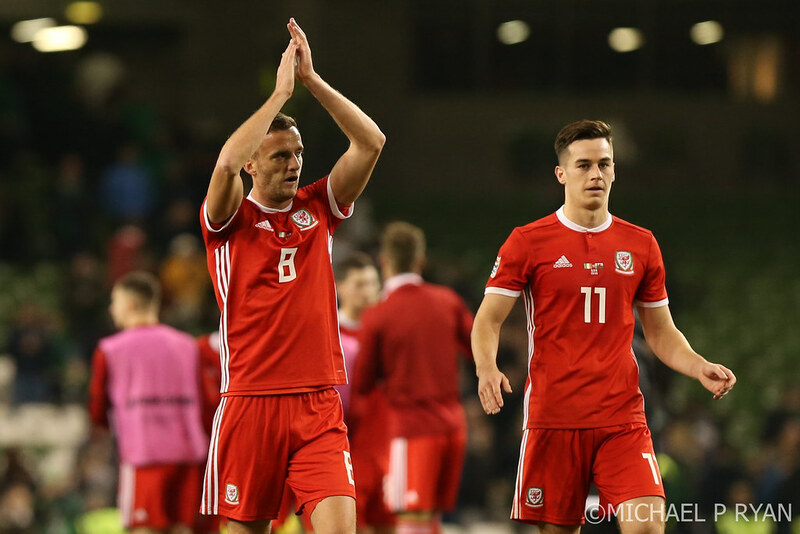 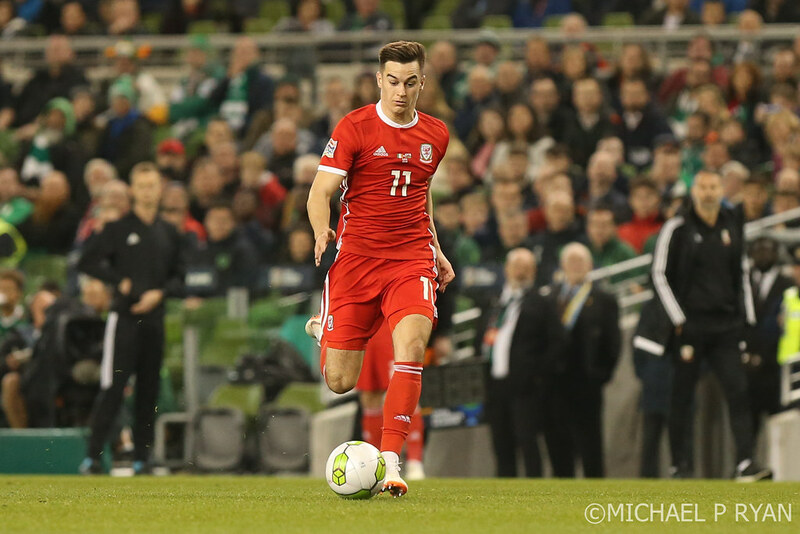 Wales were struggling to deal with the in-your-face football that Ireland set out with from kick-off and O’Neill’s men, to their credit, were confident on the ball and trying their best to play football and pass the ball up the pitch. 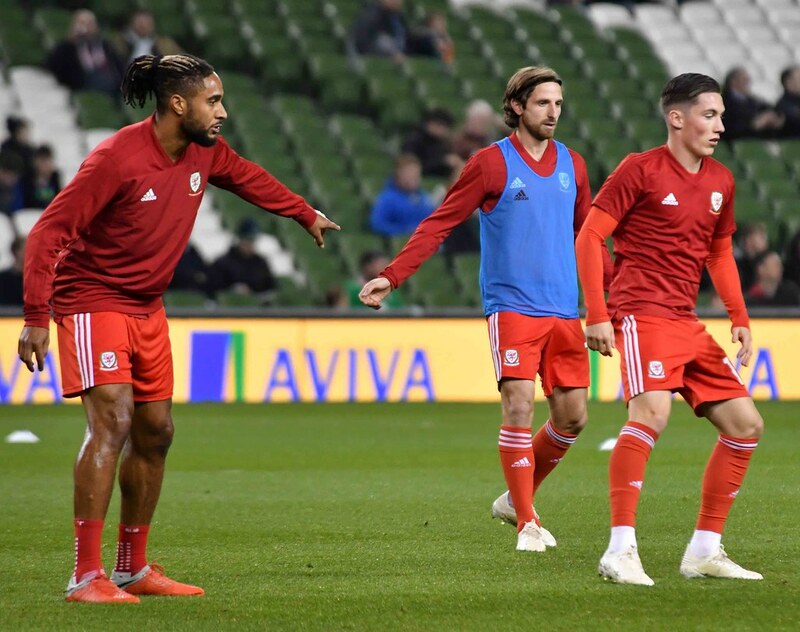 The constant pressure got to Matthew Smith on the 15-minute mark and, had Cyrus Christie taken just one more touch in front of goal it could have been a lot more costly. 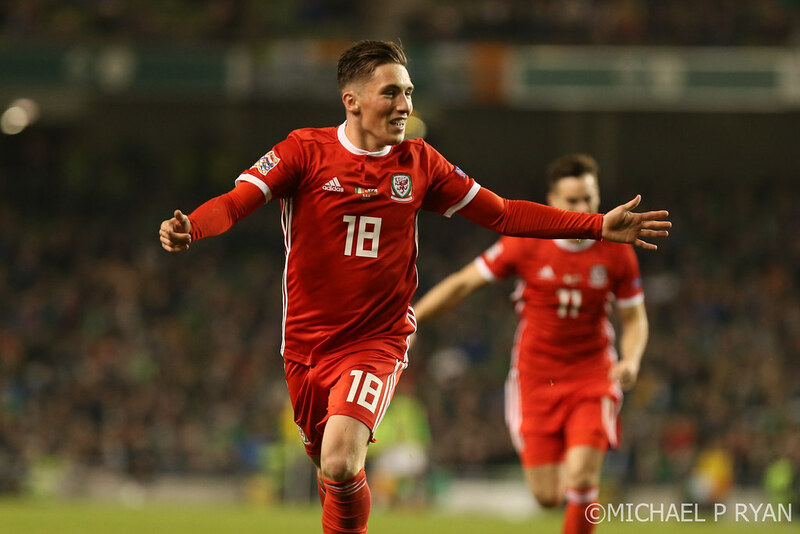 After dropping the ball to his feet, Hennessy started the play for Wales with a simple short pass to the right for James Chester. 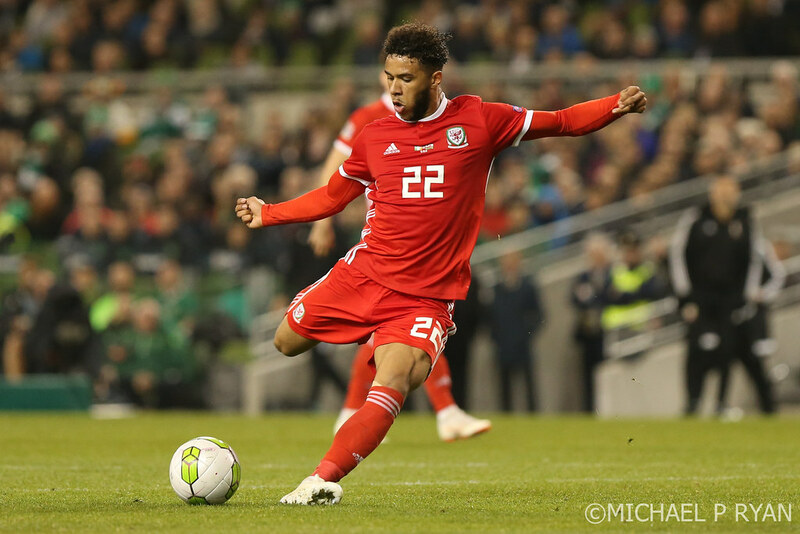 Chester then looked to find Smith in front of goal but Smith’s heavy touch fed the ball straight onto the foot of the onrushing Christie, who forced a good save low down from Hennessy. 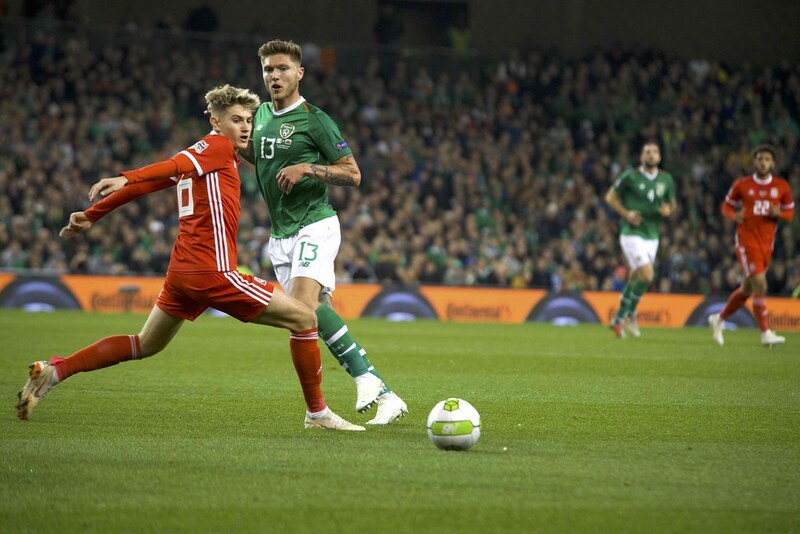 Christie looked to have time to take another quick touch before attempting his shot but it wasn’t to be and the deadlock remained unbroken. 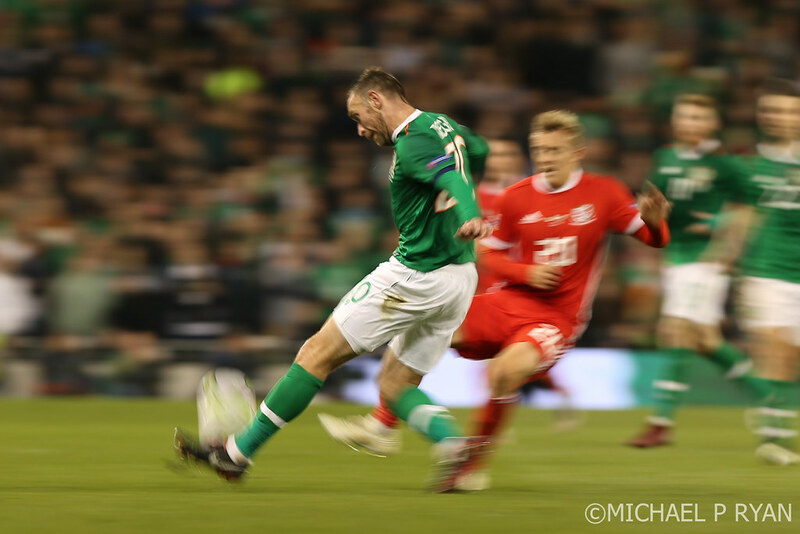 Ireland were finding the gap between the midfielders and the strikers a lot more manageable and as a result were getting a lot more joy in their attempts to ask questions of the opposition. 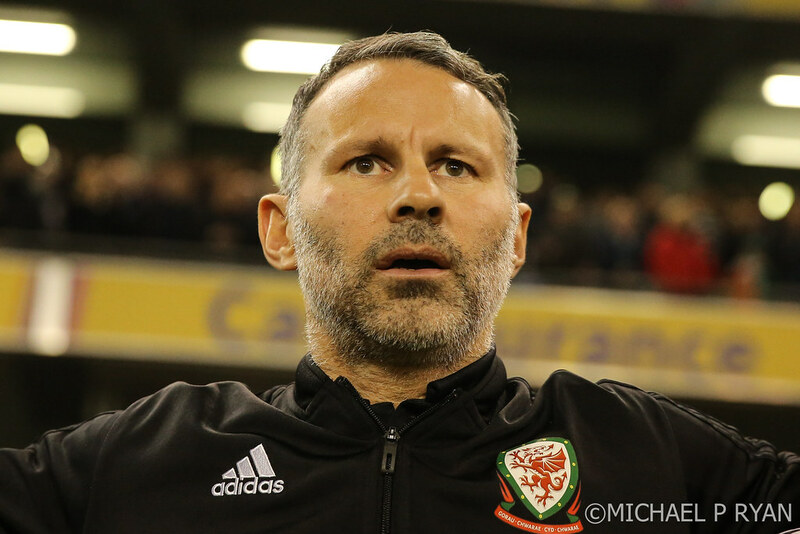 Their performance at the other end of the pitch in the opening half was one of composure and discipline, limiting Ryan Giggs’s side to just one clear-cut chance in the opening 45 minutes. 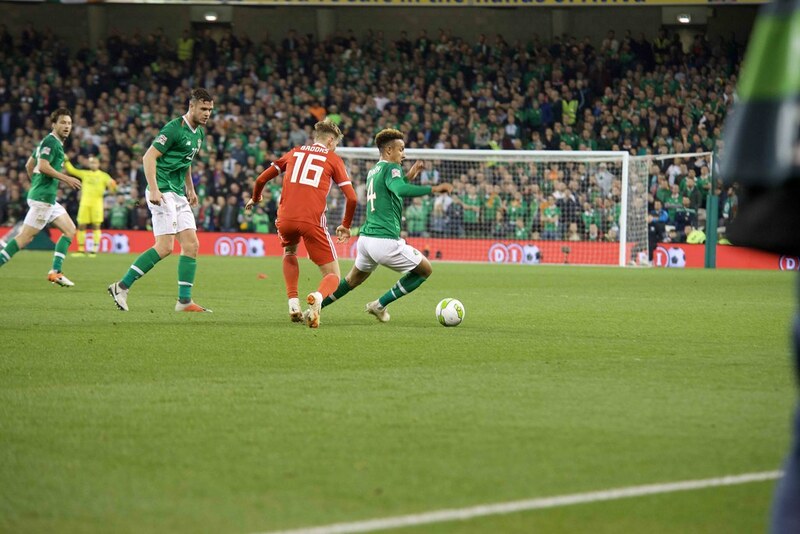 A chance it was but not one to give Randolph anything to worry about with Connor Roberts whipping a first-time cross for Tyler Roberts, who attempted a flick towards goal that Randolph easily saved. 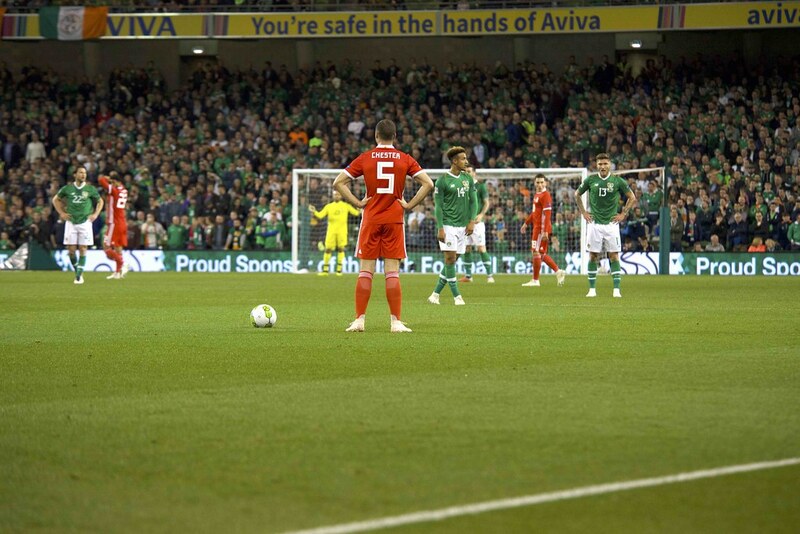 Shane Duffy should have done better with the last chance of the first half when a Hendrick corner found him unmarked at the back post but he could only head straight at Hennessey. 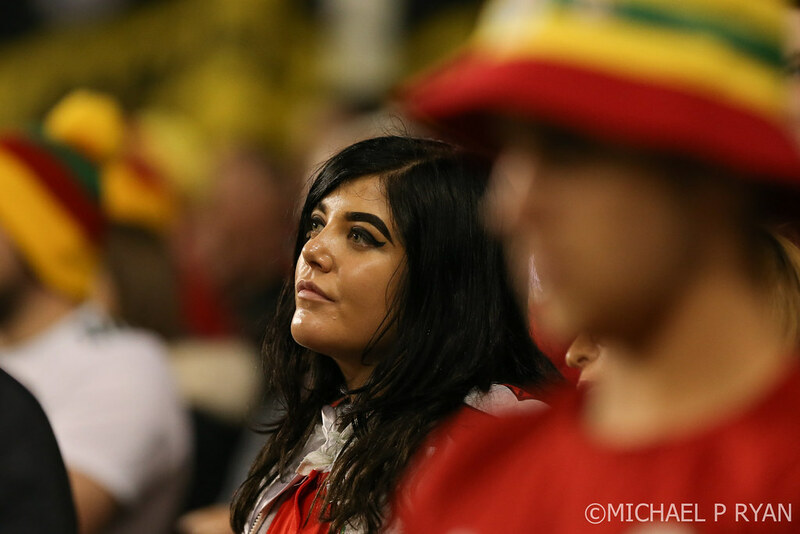 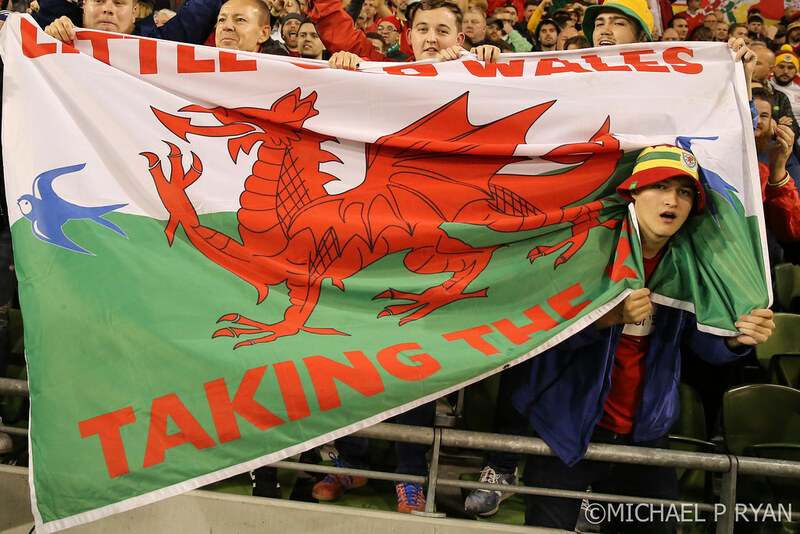 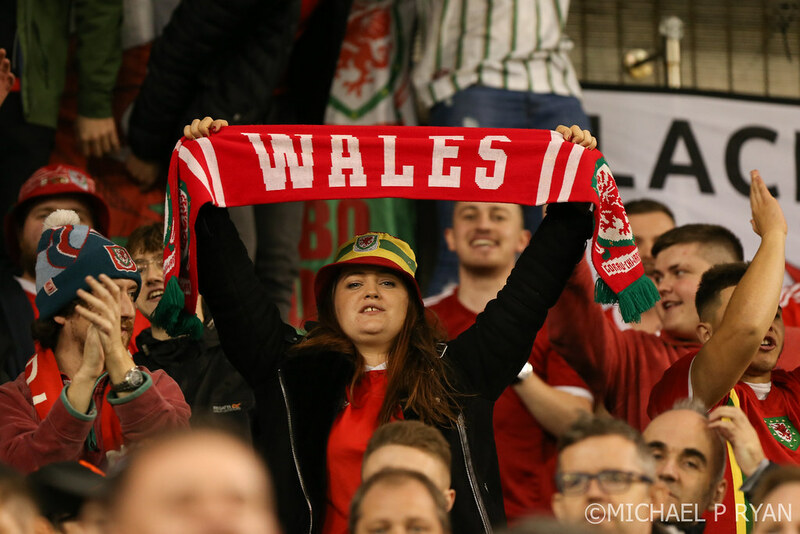 The home side began the second half exactly how they finished the first, breaking up the Wales play at every attempt and not allowing them to get any bit of rhythm going. 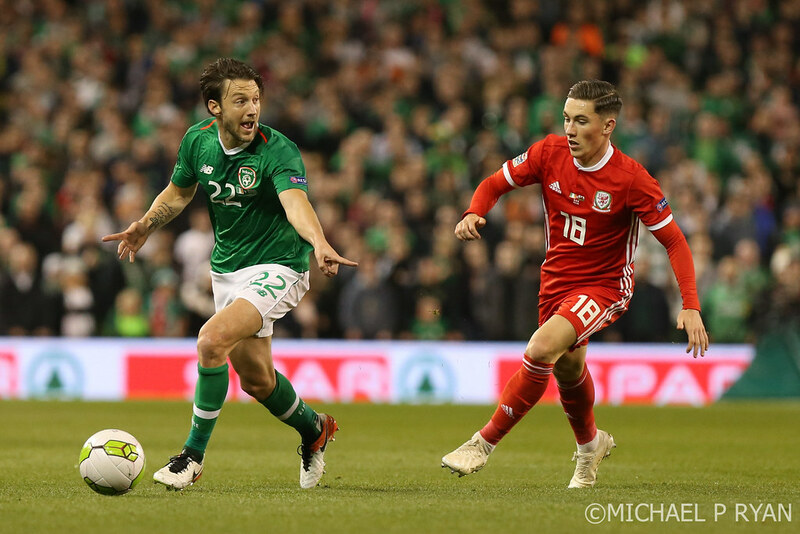 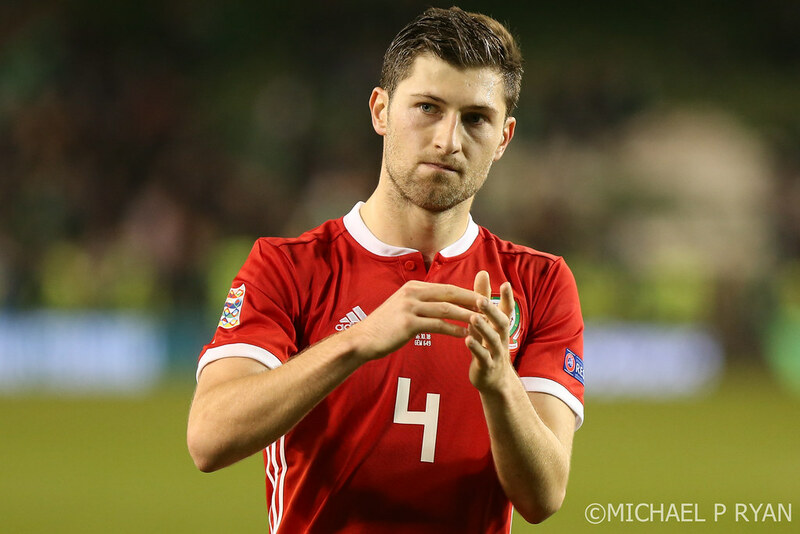 With Wales finding it so difficult to string together any chances from play, set pieces were going to take on an extra importance and a mistimed tackle from Harry Arter presented them with a chance. 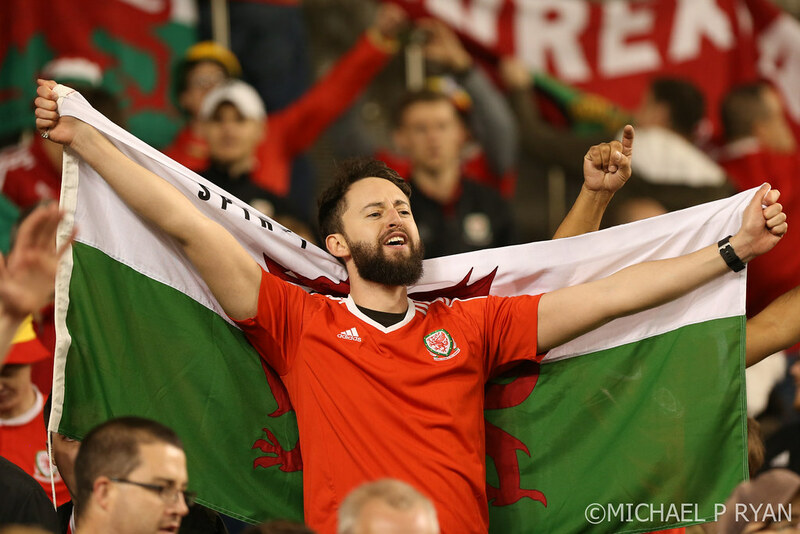 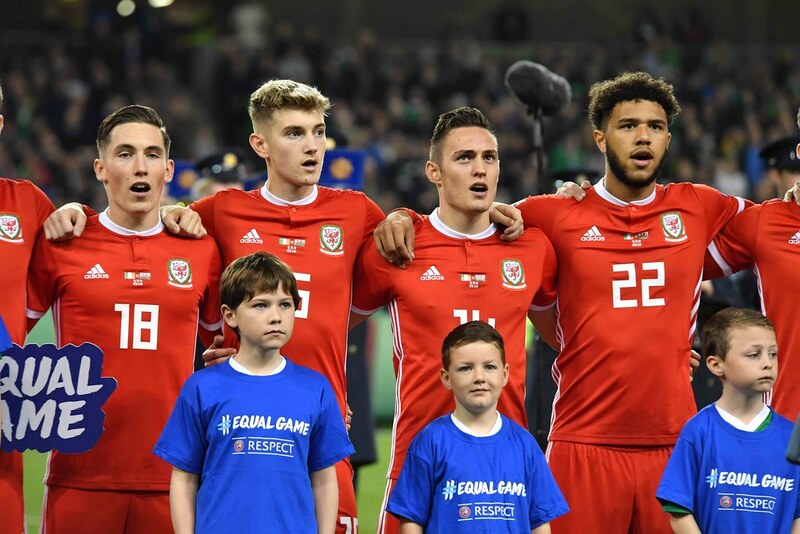 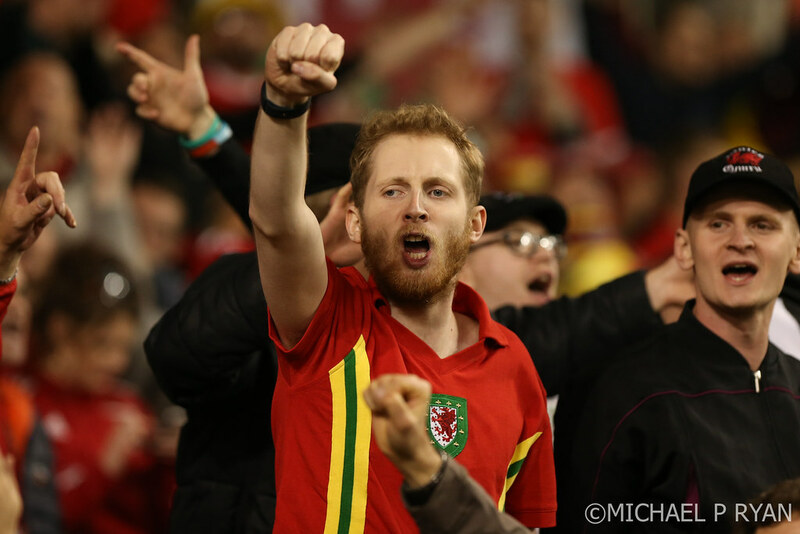 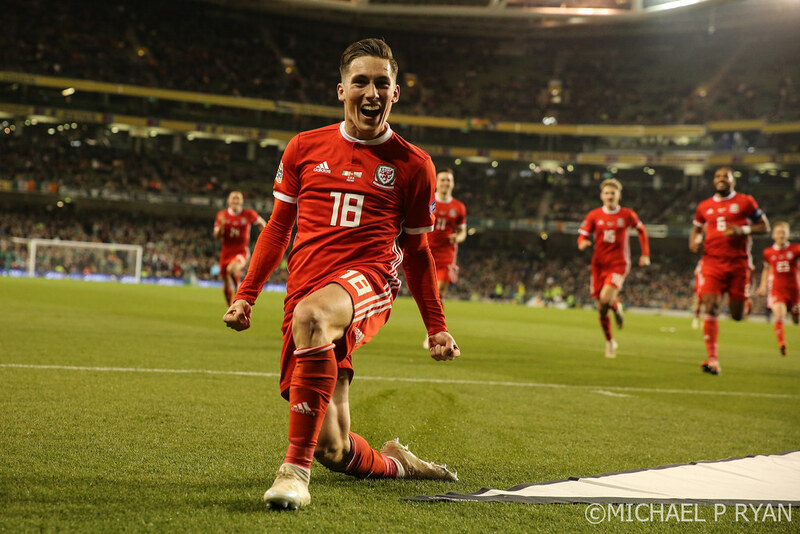 With only their second shot of the game, on 58 minutes midfielder Harry Wilson struck a sublime free kick past Randolph to send the Wales fans behind the goal into hysterics. 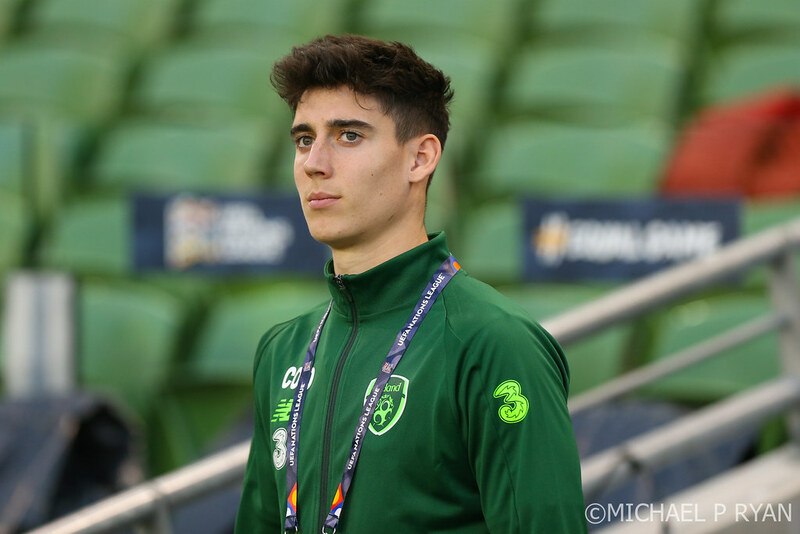 hane Long and Sean Maguire were sent on by O’Neill to replace O’Brien and Robinson in an attempt to get themselves back into the game. 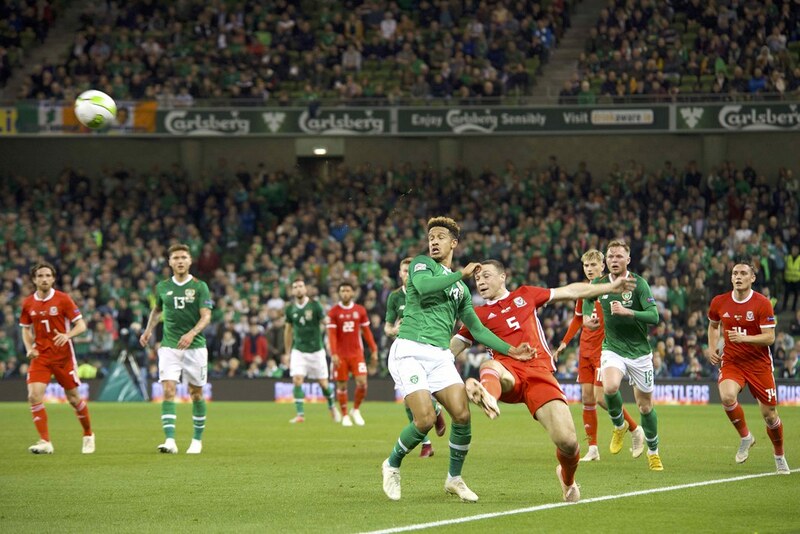 With the shift that the Ireland team had put in leading up to the goal, it was harsh for the home side to be approaching the final half hour 1-0 behind. 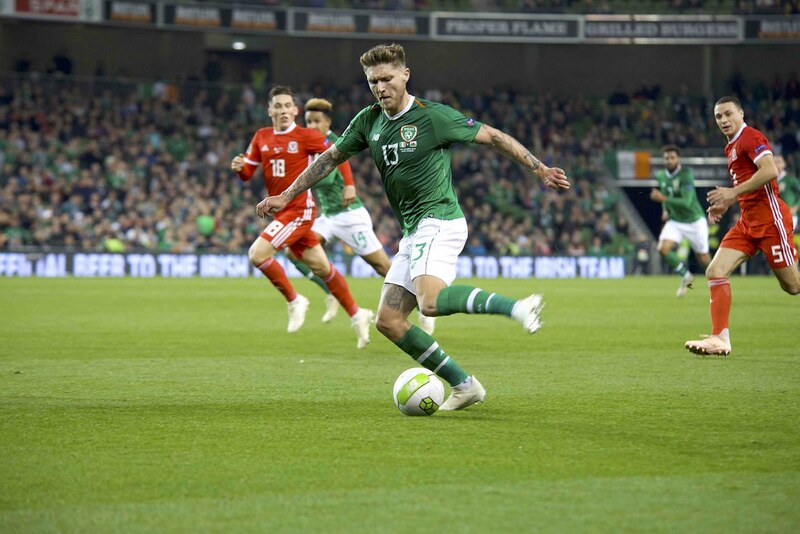 Matt Doherty and Jeff Hendrick combined well on the hour mark down the right with Hendrick showing lovely skill upon receiving the ball firstly to take it down at his feet and secondly to dance around the defender before unleashing a shot at goal, but his finish let him down. 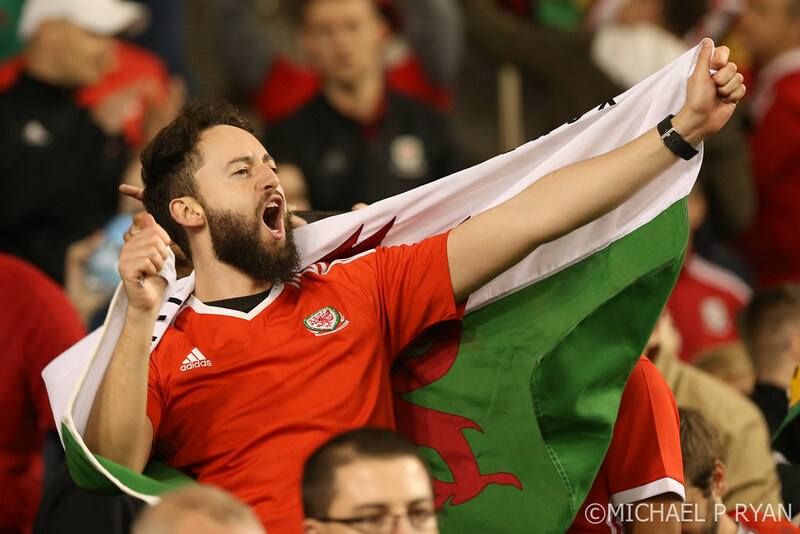 Wales, to their credit, weathered the storm well that was always going to come their way after taking the lead and should really have doubled their lead with a quick counter attack against the run of play. 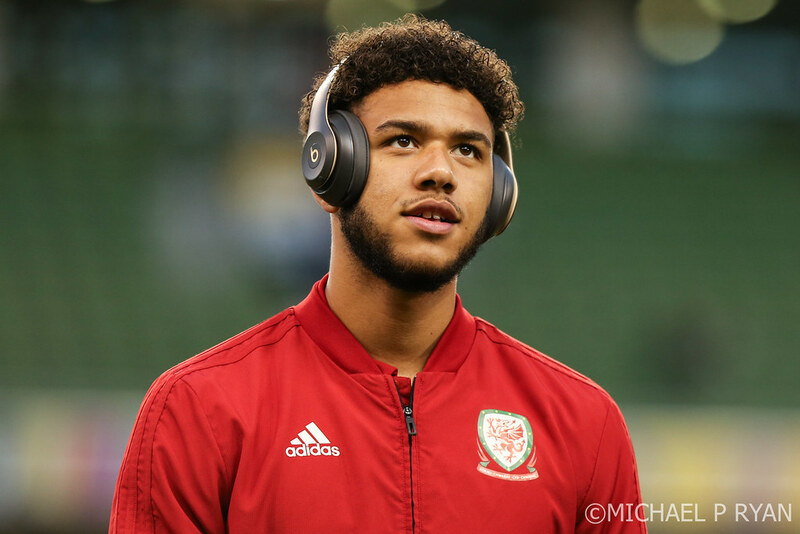 With every green shirt in the Wales half as they foraged for an equaliser, Chester did well to find the pacy Tyler Roberts with his clearance. 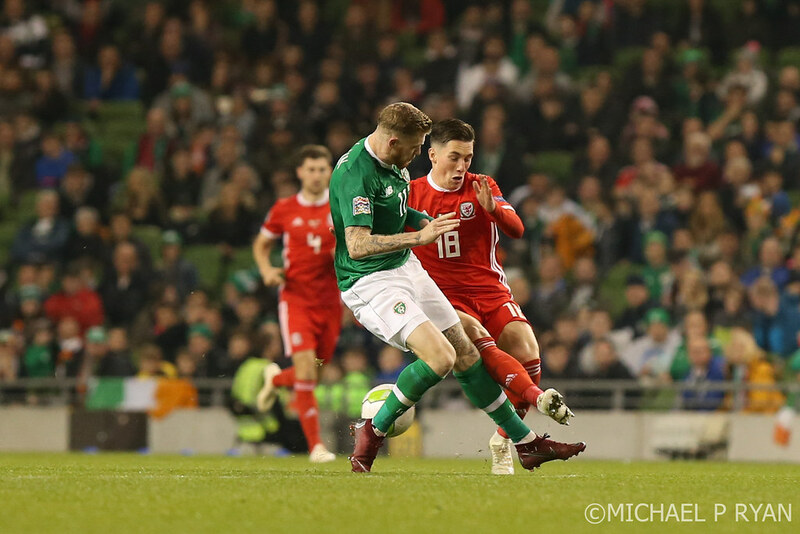 Roberts put the head down and set off towards goal but took the wrong option with Ireland completely stretched at the back and scrambling to recover their positions. 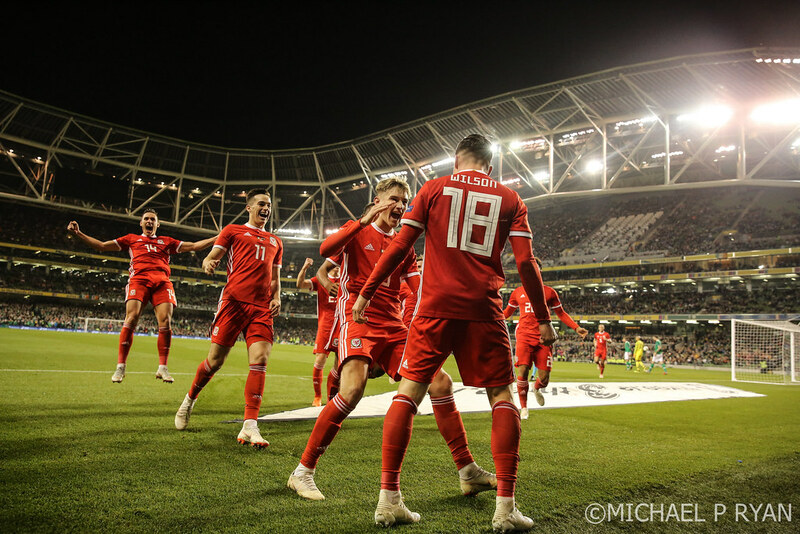 The goalscorer Wilson screamed for the ball as he stayed onside and in line with Roberts, and the striker decided to go it alone, forcing a save from Randolph to keep his team in the game. 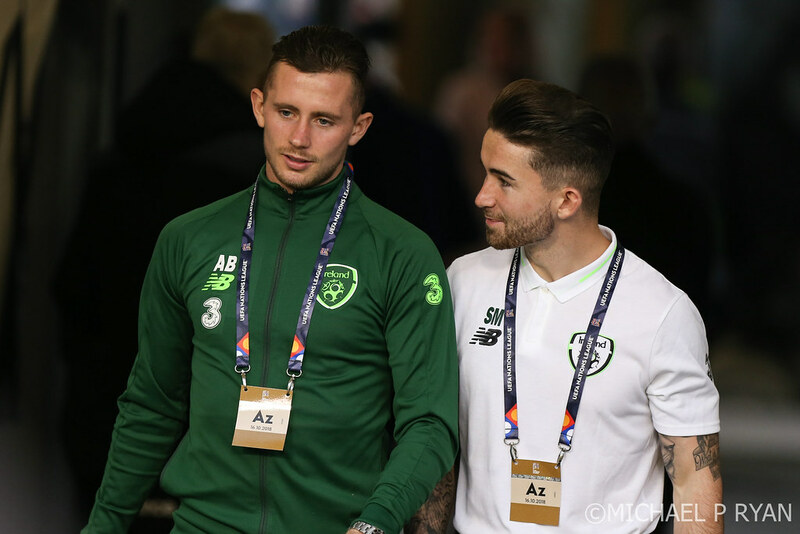 Scott Hogan was introduced in the last 15 minutes as Martin O’Neill took his last throw of the dice and urged his players forward to try and take a share of the spoils. 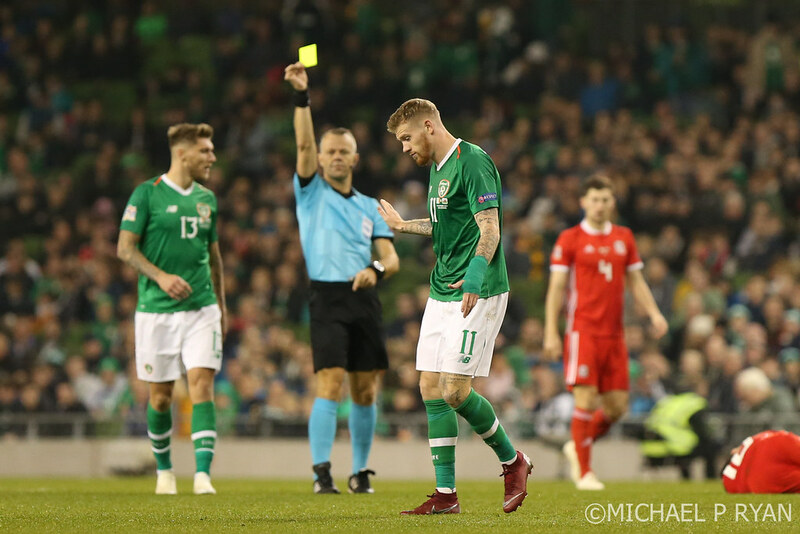 Chances were created for McClean and Hogan in the closing minutes of the game, McClean with the best of them finding himself swinging at the ball and unmarked at the back post but his tame shot was straight into the gut of Hennessy. 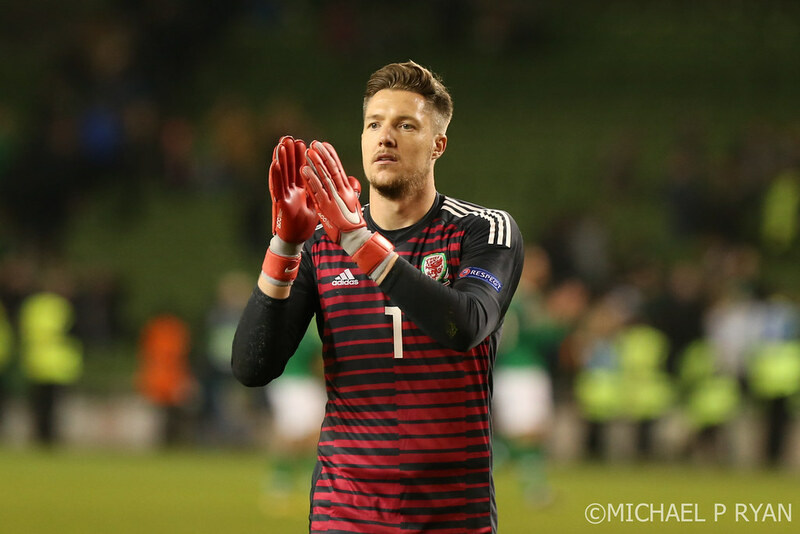 That ensured Hennessey kept his clean sheet and more importantly Wales head home with the three points secured and a nice view from the top of the table to enjoy for the coming weeks as well. 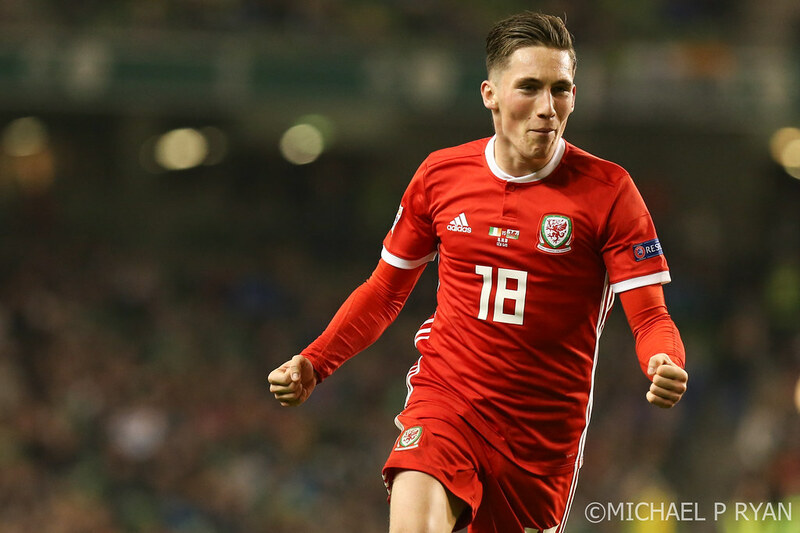 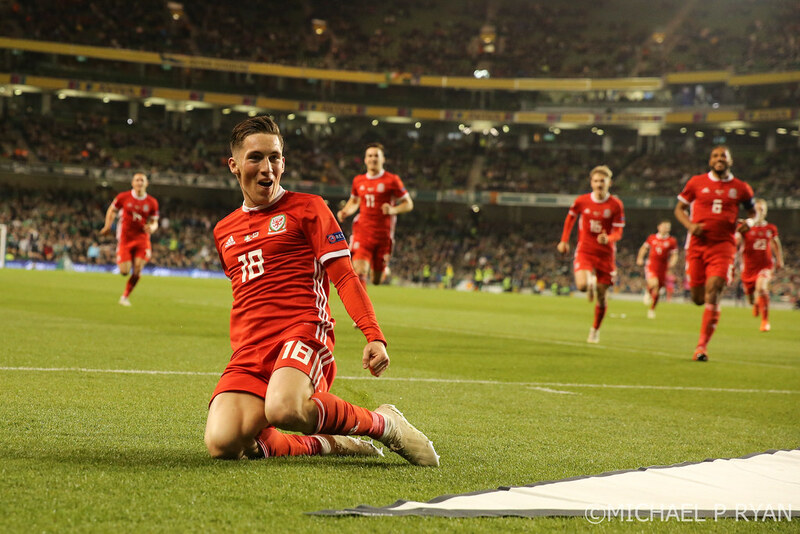 Extratime.ie Player of the Match: Harry Wilson (Wales).